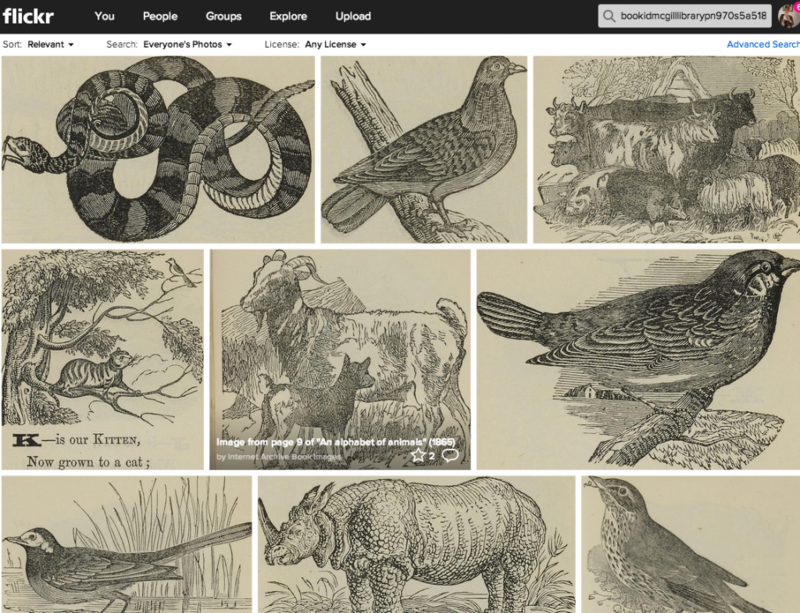 Internet archive has started to extract images with no known copyright restrictions from their millions of scanned books and post them to Flickr. 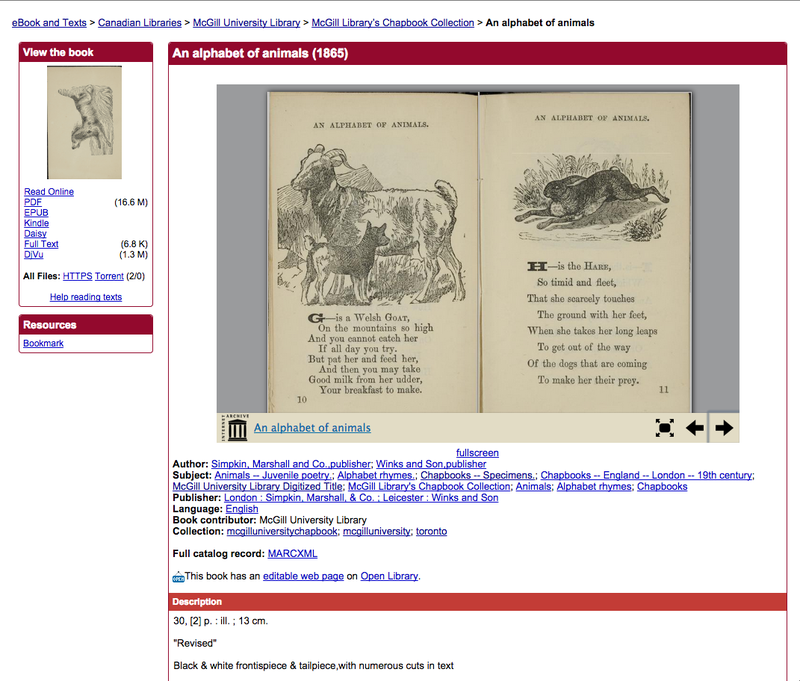 Notably each image includes a variety of subject tags extracted from the books original metadata with information like the time period, book publisher or the author so you can search through the collection in many ways. Most importantly they have included snippets of the text right before and after the pictures plus a link back to the full book in so you can see the image in context. These are just some examples from our Chapbook collection but there are (as of October 22, 2014) over 2.6 million more images up at their account. it’s a pretty great tool for discovery! This entry was posted in Chapbooks Collection, Digital Resources, Rare Books and Special Collections and tagged Open Access by Sarah Severson. Bookmark the permalink.